New ‘playful connection’ bridge for Cromer park’s 90th birthday? The latest proposals for a new ‘PlayBridge’ in North Lodge Park were revealed this week on Wednesday by the Friends of North Lodge Park. 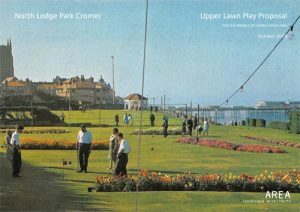 And if all goes to plan, it will open next year as North Lodge Park celebrates its 90th birthday – the park opened in 1929, after the Lodge and its grounds were bought by Cromer Urban District Council the previous year. Adjoining areas, originally fields and apple orchards, were added during the 1930s, which meant the park came together in a largely unplanned, piecemeal way. The planned new ‘playful connection’ bridging the main part of the park and the under-used Upper Lawn has been designed by landscape architects AREA, who were commissioned by the Friends earlier this year. The brief, approved by the Park owners, North Norfolk District Council was to link the Upper Lawn with the ‘heart of the park’ – and provide more play and leisure opportunities for everyone. “Our community surveys showed that new play opportunities for children were one of the main things people in Cromer want to see,” says Friends of North Lodge Park chair Samantha Annison . 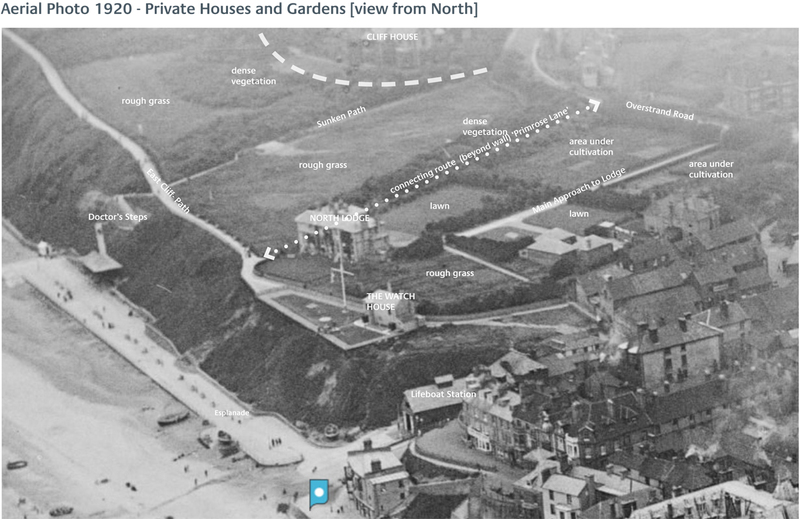 There will also be seating areas and a central viewing platform in the zig-zag design – inspired by Cromer’s distinctive Hotel de Paris slopes and nearby Doctor’s Steps – to sit and admire the stunning, elevated views. Materials such as the timber boardwalk have been designed to echo Cromer Pier, while the use of colour, thick sailing rope and buoys reflect Cromer’s fishing heritage. 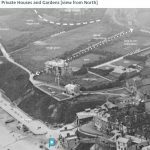 New planting and landscaping will also reflect the history and character of the park and its clifftop location, with new access points from the East Cliff path and Cliff Drive. 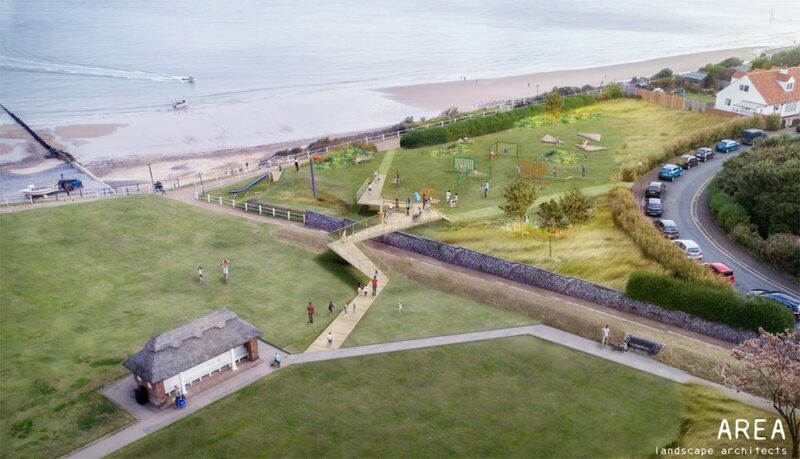 “The proposed wide, ramped crossing over the sunken path is the only way to create a step-free link with the heart of the park, and this exciting new ‘playful connection’ brings the whole area together for probably the first time, with opportunities for play or just sitting and watching the world go by,” adds Samantha. 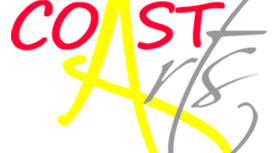 View the presentation by AREA. The Friends of North Lodge Park formed in 2015 to protect, enhance and promote North Lodge Park, initially concentrating on the ‘heart of the park’, taking over the café and improving the Rose Gardens area around it. Two years of successful open-air theatre and other events have established NLP as a regular event and entertainment arena, including ice-skating in February 2017 half-term week (to be repeated in 2019). Surveys established community priorities, with activities for children near the top of the list, and detailed proposals were developed for a play area on the old bowling green which could not be taken forward. Attention turned to bringing the neglected, disconnected Upper Lawn into use, ideally with play elements, and in February this year the Friends appointed landscape architects AREA to develop ideas and designs, taking into account the whole park. North Lodge Park opened to the public in 1929 – the year of ‘Tiptoe Through the Tulips’, the ‘Flapper’ election and Ramsey MacDonald’s second government, and the Wall Street Crash. The Friends of North Lodge Park are looking forward to celebrating this special 90th birthday in 2019.